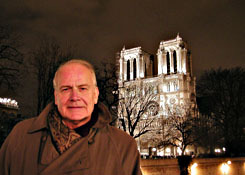 July, 2007, 'Trésor vivants,' Radio-Canada Television, Paris; 26 mins; video. Nov. 2, 2004, 'Studio 4' with Fanny Kiefer, Vancouver, B.C. ; 22 minutes; video. Oct. 26, 2004, 'Eye to Eye,' with Jim Cantelon, Toronto, ON; 56 minutes; video. If streaming performance is poor, try saving the file to your desktop, then playing. Right-click on above links to save. 0-7710-8222-3 October 2004, 376 pages. $27.95 U.S. / $36.99 Can.